I feel like I hardly ever get to spend time with my nine year old niece, Cleo, with just the two of us. So I planned a whole day to spend with her filled with stuff we like doing. We read Moshi Monsters magazines, played Wii, watched Gnomeo & Juliet and made cupcakes. 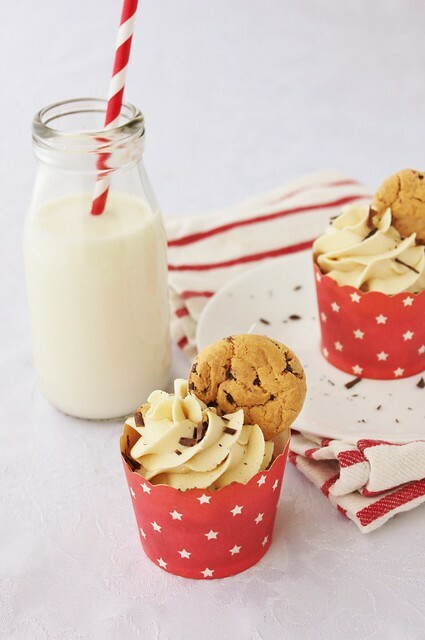 We decided to make a fun flavour cupcake for something a little different, cookie dough cupcakes. 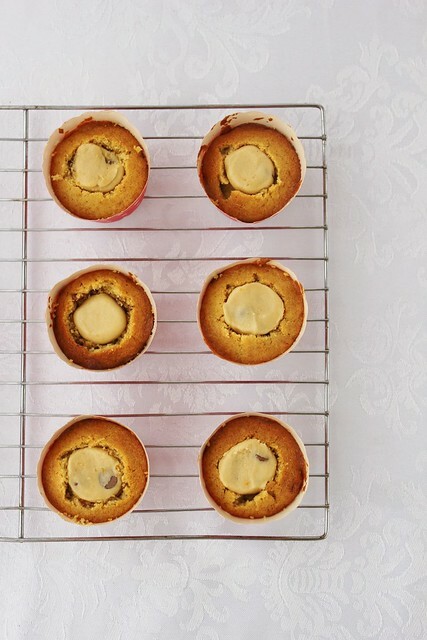 The recipe is in three parts, the batter, the filling and the icing, all of which were ridiculously yummy! 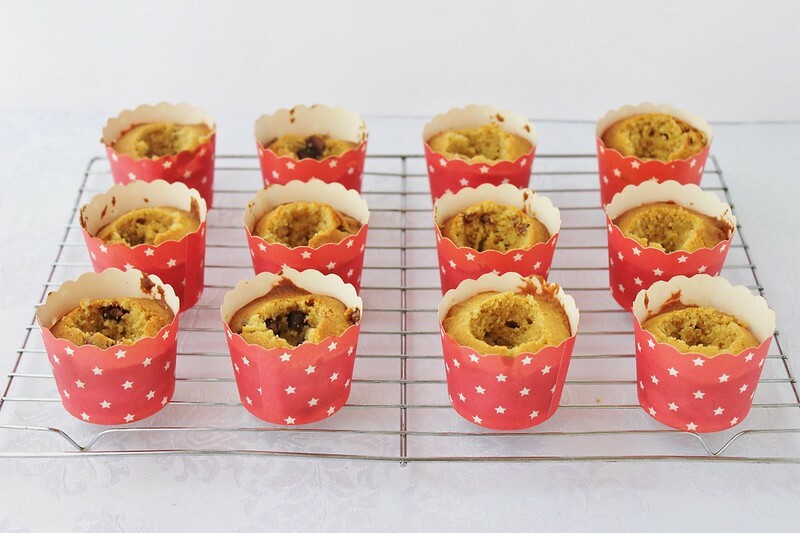 The filling is an eggless cookie dough which you stuff inside after you bake the cupcakes and makes for a yummy surprise when you bite into it! After we made the cookie dough cupcakes we thought it only right to decorate some of them like Cookie Monster, check out our cute Cookie Monster Cupcakes! Beat the butter until light in colour then add the brown sugar; beat until light and fluffy. Sift flour, baking powder, baking soda and salt in a separate bowl. Add dry ingredients and milk in three batches, starting and finishing with the dry ingredients, mix until just combined. 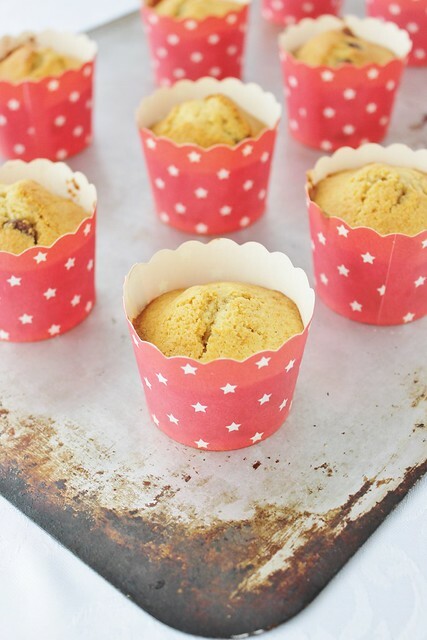 Stir in the chocolate chips and spoon into cupcake cases. Bake for 18 - 20 minutes or until a skewer inserted comes out clean. Add flour, sweetened condensed milk, vanilla and chocolate chips, beat until smooth, the mixture gets quite tough so an electric beater is necessary! Refrigerate until mixture is firm, approx. 1 hour in fridge or 20 minutes in freezer. 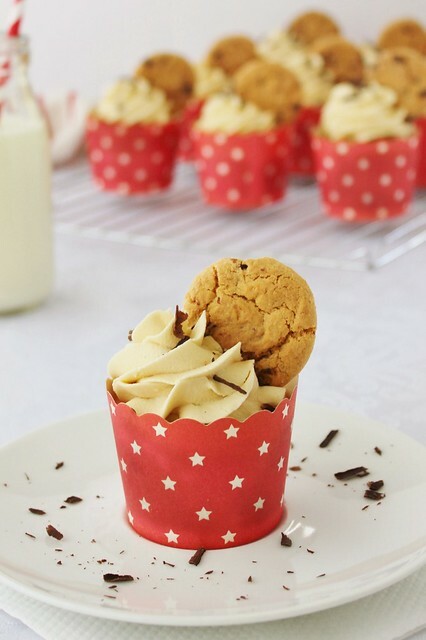 Once chilled, roll small balls of cookie dough and place inside cupcakes. When icing starts to get lumpy add a tablespoon of milk until you reach a smooth piping consistency. 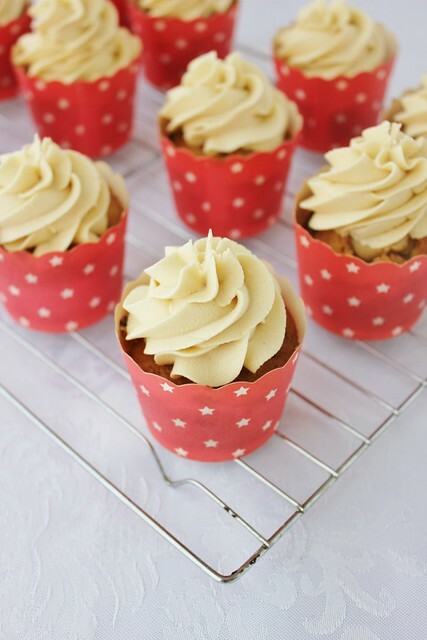 Fill a piping bag fitted with a 1M or large star tip half way with buttercream. Pipe large swirls starting from the outside and working your way inwards and upwards. Place half a mini chocolate chip cookie on top and sprinkle with shaved chocolate or chocolate chips. 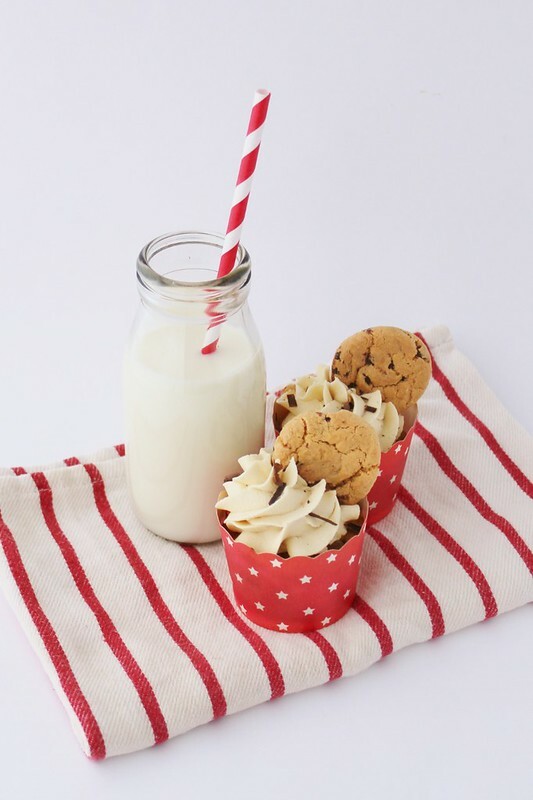 Only add the cookies just before you want to eat the cupcakes or they will go soft!